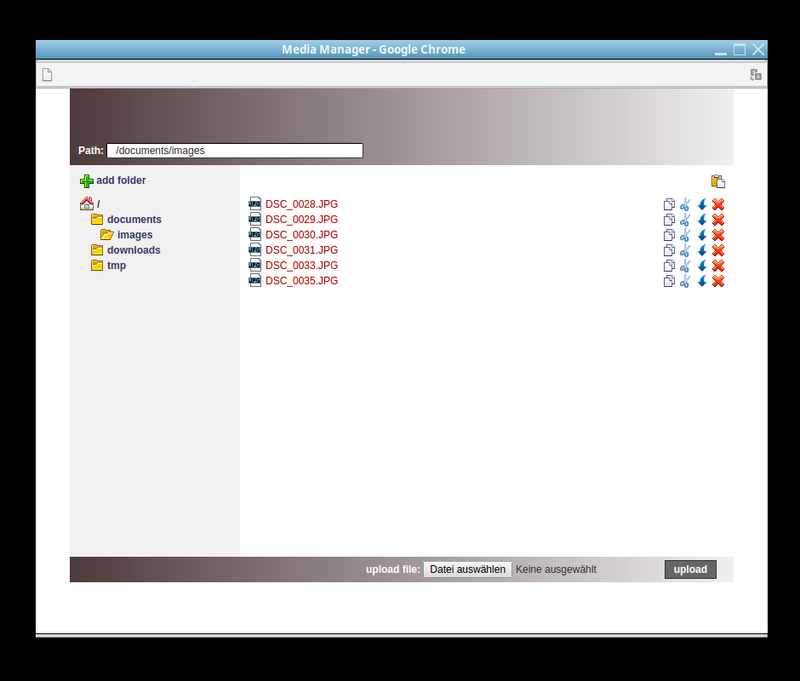 File manager based on HTML and PHP. Create directories, upload, cut, copy and delete files. Paste files out of your file system into input fields inside a HTML-form. No database needed. Make shure that the script is not freely accessible. Dangerous files could be uploaded or existing files could be deleted.